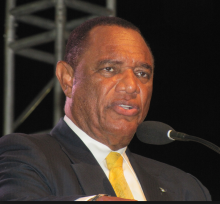 Native Stew :: Bahamas News: PM Christie: State Of The Nation Report, "PLANNING FOR A NEW BAHAMAS"
PM Christie: State Of The Nation Report, "PLANNING FOR A NEW BAHAMAS"
I am grateful for the opportunity to speak to you tonight, not only as Prime Minister, but most importantly as a fellow Bahamian. As you have heard described earlier, the Report being launched tonight on the ‘State Of The Nation’, marks the first stage in the construction of a National Development Plan. I pay tribute to the work of the Chairman of the Steering Committee, Mr. Felix Stubbs, and his team, led by Dr. Nicola Virgil-Rolle. We are enormously grateful to them for their scholarship and stewardship in securing this first milestone.